The Almadraba fishing gear has remained practically the same for more than 3.000 years. The catch depends as much on the abundance of the resource and climatological factors such as water, cleanliness, transparency and temperature of the waters, lunar phase, tides, winds, etc., given that it doesn’t rely on sophisticated methods to increase the catch. Almadrabas are set up some two months before the fishing season. 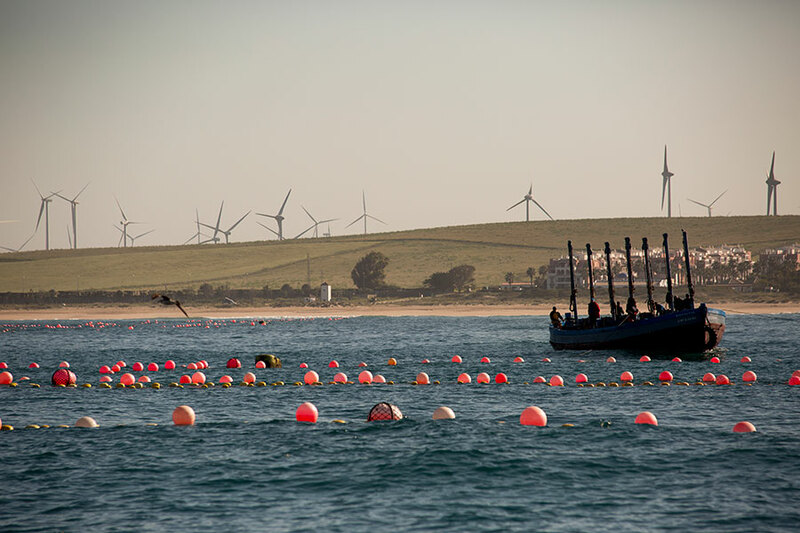 It is a fixed gear of vertical nets marked at the Surface with floats and staked at the bottom of the sea with anchors attached to thousands of meters of steel rope. 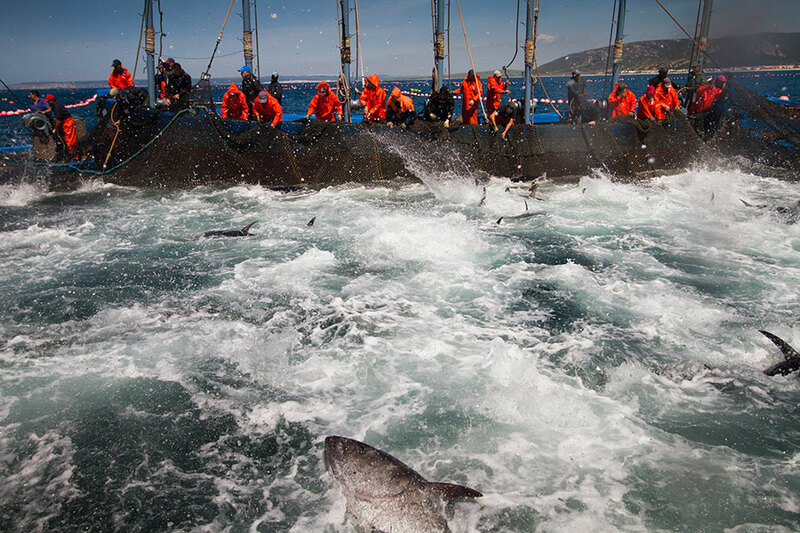 As it is a fixed and close to the coast gear, only a small percentage of the total population of tuna that migrates through these waters can be captured by the Almadrabas. The Scientific Community considers this gear a “scientific observatory” for studying the evolution and abundance of the resource.ion and abundance of the resource. Almadraba catches are compatible with responsible fishing. 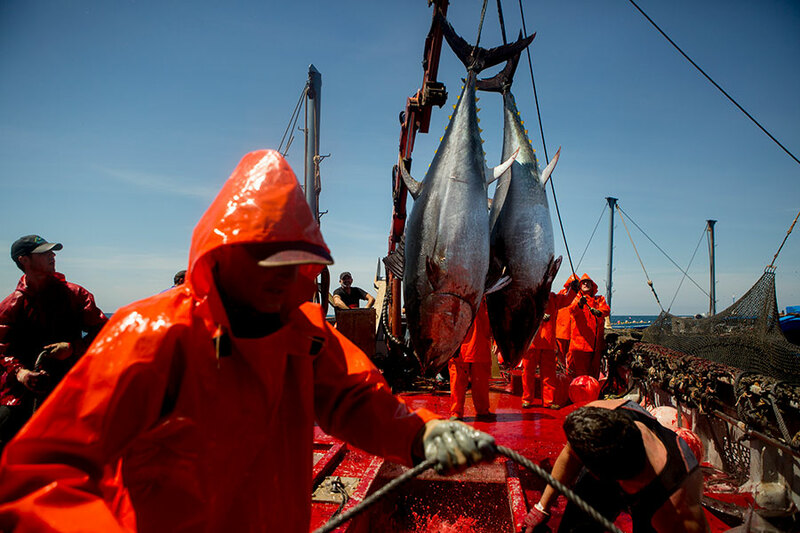 The average size range of the captured tuna is between 180-200kg and the average age is 14 years old. Consequently only long-lived spawners are captured, that is tuna that have spawned in the Mediteranean Sea during many years (among 10-15). Due to the fishing season and the mesh size, to catch tuna below 70kg is not possible. This system ensures that no harm is caused to big cetacean populations inhabiting these waters, as it is an open gear. Do you want to learn more about the Almadraba? Call us at +34 956 435 839. We will be pleased to inform you.